In today’s competitive market scenario, all types of industries are under tremendous pressure to cut down their maintenance costs, as they form a significant portion of the operation costs. 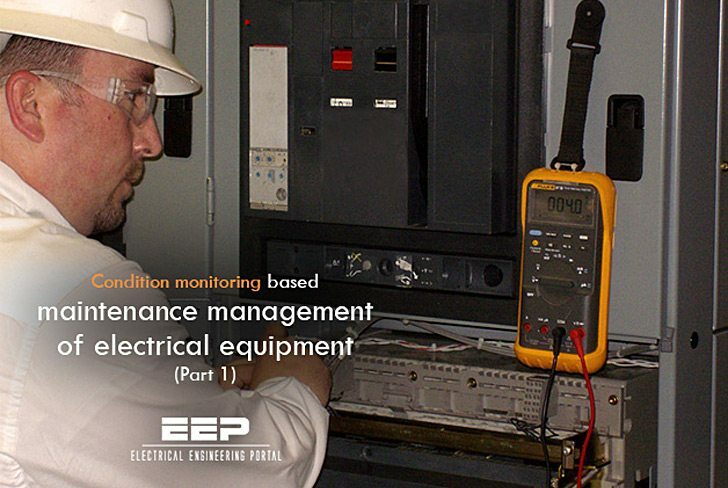 The industries are forced to look for different types of maintenance of the electrical equipment rather than usual preventive maintenance being carried out at a fixed interval of time. Over the past twenty years or so, the concept of maintenance has been assuming different dimensions and changing a lot, perhaps more so than any other management discipline. The changes are due to a huge increase in the number and variety of plant equipment in the industries, which must be properly maintained. The electrical equipment with much more complex designs require new maintenance techniques and changing views on maintenance organization and responsibilities. Rapidly growing awareness of the extent to which electrical equipment failure affects safety of plant and personnel and the environment. Growing awareness of the connection between maintenance and product quality. Increasing pressure to achieve high plant availability remaining cost-effective. The changes are testing attitudes and skills in all branches of industry to the limit. Maintenance people are required to adopt completely new ways of thinking and acting, as the plant engineers and as the plant managers. At the same time, the limitations of maintenance systems are becoming increasingly apparent, no matter how much they are computerized. In the face of this avalanche of change, the industries are looking for a new approach to the maintenance to avoid the false starts and dead ends which always accompany major upheavals. Instead they seek a strategic framework which synthesizes the new developments into a coherent pattern, so that they can evaluate them sensibly and apply those likely to be of most value to them and their companies. Effort is made in this paper to discuss some aspects of new approach. 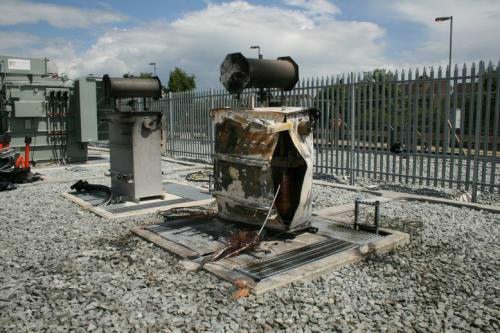 Failure of any electrical equipment or rather any equipment should be taken up seriously. Detailed analysis of each failure should be carried out, which will help in significant reduction of repeated failures of same nature. It is true that in spite of carrying out regular maintenance, failure of the equipment cannot be totally eliminated. Failures of different types of electrical equipment are reported by all the industries and some of the failures are quite serious resulting in substantial production losses besides causing consequential damage to the adjoining equipment as well. For example, when the equipment like surge arrestors operating at extra high voltage fail, they explode like a bomb many a times resulting in scattering of solid porcelain pieces to a larger distance causing damage to the adjoining equipment. Similar situation is also observed during incident of fire in electrical switchboards due to heavy short circuit. 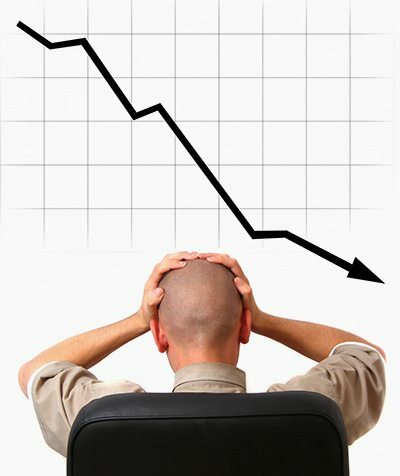 Unless regular equipment maintenance is carried out adopting any of the maintenance systems discussed in succeeding points, unscheduled failure of the equipment would go on resulting into large scale production losses in the industries on one hand and would increase the cost of maintenance on the other hand, as the cost of breakdown maintenance is normally more than that of other types of maintenance. The heading itself implies simple and straightforward logic – “When a machine breaks down, fix it”. This is a reactive maintenance management technique that waits for machine or equipment failure before any maintenance action is taken; however, it is actually a “no-maintenance” approach of the management. No expenditure is made on maintenance until a machine or system fails to operate. Few plants adopt a true run-to-failure management philosophy, as in almost all instances, the industries carry out basic preventive maintenance tasks such as lubrication, monitoring of operating parameters and other machine adjustments. In this type of maintenance, however, the electrical machines and other plant equipment are neither rebuilt, nor are any major repairs made until the machine fails to operate. 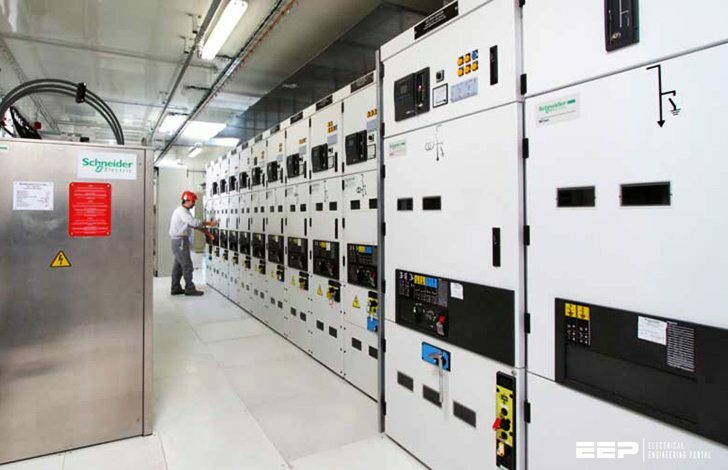 In absence of anticipated periodic maintenance requirements, the industry that adopting BMM must be able to react immediately to all possible failures within the plant. This reactive method of management forces the maintenance department to maintain large spare parts inventories that may include spare machines or at least all major components for all the critical equipment in the plant. The alternative is to rely on the equipment vendors that can provide immediate delivery of required spare parts to repair the equipment. BMM is the most expensive method of maintenance management. The major costs associated with this type of maintenance management are as follows. The equipment may breakdown at any damned hour of day or night and hence it may be necessary to retain additional manpower to carry out the maintenance and repairing within least possible time to bring the equipment back into service to reduce the production losses. The manpower retained beyond normal duty hours would be paid substantial cost towards overtime. This reactive method of maintenance results into rather high equipment downtime in most of the incidents of breakdown. Many times, all the spare parts required to set right the breakdown are not available and the vendor is approached to purchase the spares. Even if immediate delivery of required spares is affected, substantial time would always be lost before the equipment is repaired and put back into service. Moreover, the vendor would charge premiums for expedited delivery, which would substantially increase the costs of spare parts besides higher downtime required to correct machine failures. This happens due to the fact that it is not feasible to maintain all the spare parts for all the machines installed in the plant. This reactive maintenance may be appropriate for low value and non-critical equipment. For costly and critical equipment, it is not desirable to wait till the occurrence of breakdown, as the cost of breakdown is always more to the industries than the cost of preventive maintenance. The revenue loss due to non-availability of the system would be much more than the cost of the failed equipment. Therefore, it is more appropriate to identify the defect before failure to plan repair / replacement. Though, the equipment breakdowns cannot be avoided in totality, but incidents can be reduced to great extent with appropriate type of maintenance. Ashok Parikh I like to read about of maintenance. Please don´t forget to upload the following items. Thank you! Amazin’ article, brother. I appreciate it. Great article. 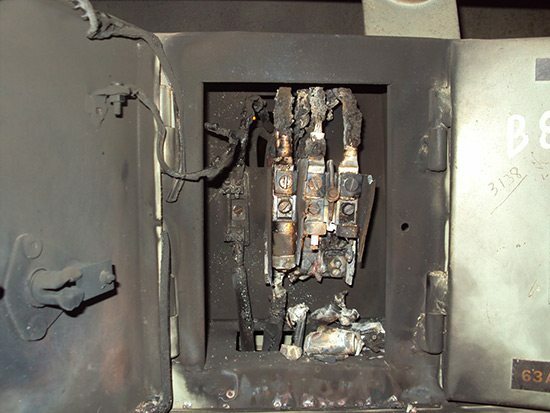 Keep posting such kind of information about electrical issues on your blog. I’m really impressed by your article. I m working as a technician this is very usefull article for me. I must say, this is the most concise, but very complete overview of conditon monitoring maintenance of el. equipment. You put it all together in a great way. A BIG THANK YOU Ashok! I am surprised the article does not make reference to modern predictive algorithms technologies. Condition Based Maintenance is old fashioned and modern computing power has enabled a vast array of effective methods to predict failure. The objective of article is to supplement efforts put up by the maintenance engineers so that their work would be more fruitful. In case someone wants to use the latest computer based technologies during the course of maintenance activities, it is most welcome. However, it may also be noted that modern technology, when integrated with manual efforts, in-depth observations for condition of equipment, would only provide advantage. To keep the article simple and basic, reference is not made to the other techniques. Not only do I perform electrical inspections but also risk management and loss control reviews for other property and liability issues. It is amazing what I find during a survey. Some firms have raised the bar on oversight of all systems dealing with fire protection and life safety schemes. Electrical maintenance is a major component. Others, be it industrial, commercial or municipal have either not received the word or have accepted the higher risk of a catastrophic event as opposed to investing in safety. . This article is very useful for me ,i don’t know about electrical equipment maintenance ,i learned something in this article ,thank you..